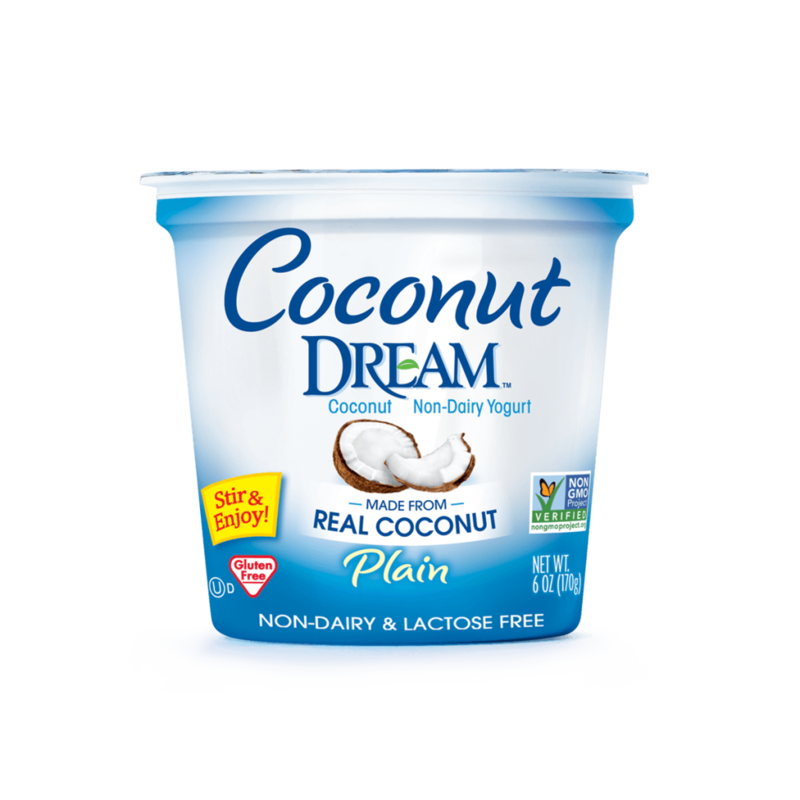 The delicious taste of rich and creamy Coconut DREAM™ Coconut Non-Dairy Yogurt provides a tropical twist to your dairy-free day. Enjoy alone or use in your favorite recipes. COCONUT BASE (WATER, COCONUT CREAM), EVAPORATED CANE SYRUP, STABILIZER BLEND (CORN STARCH, TAPIOCA MALTODEXTRIN, PECTIN, LOCUST BEAN GUM), TAPIOCA FIBER, TRICALCIUM PHOSPHATE, CULTURES*, ANTIMICROBIAL (FROM CULTURE).